North of Mexico City, embraced by the surrounding mountains sits the whimsical city of San Miguel de Allende. This quiet town screams old world with its cobblestone streets, colorful buildings, colonial inspired downtown and church steeples that seem to touch the clouds. Head to central Mexico's oldest town and capture the thrill of days gone by. San Miguel de Allende was recently named a top tourist destination and anyone that has traveled to this handsome town is not surprised. It has even become the new home to many expatriates that have come here and are simply too in love with the city to leave. This community is full of artisans and designers and continues to welcome tourists with open arms. When planning your trip to San Miguel, make sure you take time to stroll through the streets and visit historic landmarks or lovely Mexican gardens. The beauty is very apparent in everything located in San Miguel. ﻿Shopping during your stay is a true thrill. Start simple with souvenirs made by the local artisans and bring home something very unique. Next move to some of the city's clothing stores or even maybe the posh boutiques and find something trendy and fabulous. Small goods and jewelry can by found at some of the local bazaars or street markets and you would be missing out if you didn't visit some of the town's amazing art galleries. With a city that is full of skillful people, you are bound to find the perfect sculpture, painting or picture to bring into your home. San Miguel is all about creativity and craft, shop here and discover true artistic expression. In a city that is romantic and playful, it is easy to become entranced with the lovely buildings, hotels and restaurants located here. Rosewood San Miguel de Allende is a prime example of a world-class retreat meshing beautifully with the historic community it calls home. The 67 room resort perfectly mimics the traditional Mexican style that is seen throughout the enchanting village. Wood-beamed ceilings and white stucco walls frame the lovely rooms while black wrought iron fixtures and rich fabrics and textiles help to create a homey feel. The pool area is lined with private cabanas for pure relaxation. Head to the on-site spa and discover tranquility and bliss. Dining at any of the restaurants in the Rosewood hotel is authentic and inspirational. The main restaurant offers traditional Mexican entrees and are sure to please. 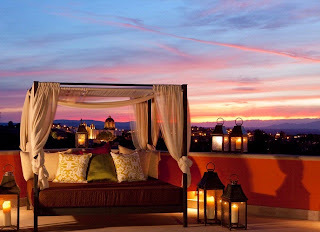 Check out the breathtaking rooftop tapas bar for some savory Mexican and Spanish tapas along with temping wines and cocktails. If you are in search of true sophistication, visit La Gava, the hotel's private wine cellar. This intimate setting is perfect for a special event with its stunning nostalgic atmosphere. No detail is overlooked at this alluring hotel overflowing with modern conveniences and historic character. Book with WhatAHotel! and notice the phenomenal perks we offer. Stay in style and charming comfort at Rosewood San Miguel de Allende. 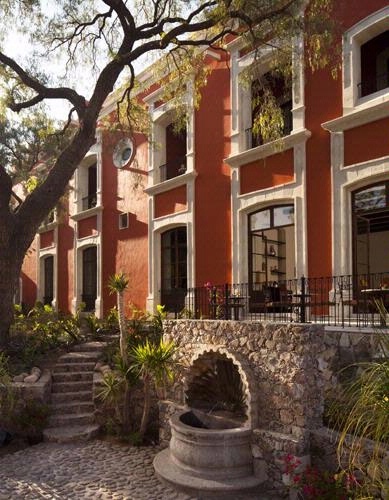 San Miguel is no doubt a delightful village style town that boasts history and elegance. Plan your trip to one of the Best Hotels in San Miguel de Allende and get ready to enter a storybook wonderland. ﻿The Resort at Paws Up is located in lovely Greenough and offers up an escape from the hustle and bustle of the big city. Considered one of the world's greatest hotels by Travel+Leisure magazine, this beautiful resort screams cozy and chic at the same time. 37,000 acres await you on this working cattle ranch in central, western Montana. Choose from one of the 28 private vacation homes or be a bit adventurous and try out one of the 24 "glamping"(glamorous camping) tents. Roughing it is hardly the case here when you see the amenities that are offered. The food is a work of culinary genius meshed with creative design. An Award of Excellence was recently handed down to the sophisticated restaurants on-site and this is no surprise because the beautifully displayed meals not only look good but taste divine. Enjoy the fresh ingredients grown on the Montana land and caught in the local waters that complement the entrees and wine that are served. If the meals weren't enough to capture your attention, then quite possibly the resort spa will do the trick. Spa Town at Paws Up is a very unique setting for a spa experience. Located in white tents with wooden boardwalks between them, these rustic rooms allow nature to trickle into your environment while you relax your mind and body. Even the fitness room is a tent structure with a view. Lovely doesn't even scratch the surface when describing this amazing experience. Paws Up has been able to combine nature and indulgence in complete harmony. Unforgettable will be the best word to describe this simply fabulous destination. The Ranch at Rock Creek is yet another absolutely sensational Montana resort. This rugged land showcases 10 square miles of meadows and rolling foothills with lovely snowcapped mountains in the distance. Book your vacation in one of the 12 elegant private homes or select a quaint canvas cabin from one of the several lined up along Rock Creek. All of the accommodations will provide lush amenities with rustic charm. Venture off to The Granite Lodge where you will find the ranch home base. This opulent dwelling serves at the great room and dining hall for the entire resort. Sit and visit by the stone fire place or take a dip in the inviting pool. When hunger hits, the dining room will entice you with seasonally influenced meals and organically grown produce. Vivid flavors from around the world are combined with the local produce and the result is amazing. The Blue Canteen and The Silver Dollar Saloon also offer delicious meals and exquisite wines. When the day starts here at Rock Creek, the activities are plentiful. Try your hand at shooting clay targets or fly fishing, or take in the scenic views by horseback, bike or by foot. The wide open spaces welcome you to a fun filled day of adventure, but make sure you take time out and visit The Granite Spa. After a long hike you might need to rest, and here you will find balance and rejuvenation. The ranch chic decor welcomes and soothes you for a well-deserved break from the daily activities. Finding time for tranquility without forgoing luxury is easy at The Ranch at Rock Creek. Montana may not be known for trendy hot spots and sophisticated travelers, but these ranch style resorts prove us style is strong here. Head out to this charming countryside and get ready to experience true bliss. At WhatAHotel! we offer the Best Hotels in Montana and strive to provide top-notch hotels with fantastic perks and specials. Chic meets west in magnificent Montana. The Caribbean boasts many fantastic islands that entice travelers to visit their stunning shores. The perfect weather combined with sand and sophistication makes any destination remarkable. 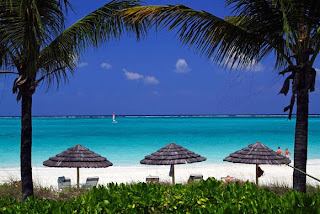 Turks and Caicos is situated off the eastern coast of Cuba and invites travelers to realize all it has to offer; sand and surf, shopping and dining, not to mention casinos and a festive nightlife. Visit luxurious Turks and Caicos, where relaxation and rejuvenation are found. Upon arrival to this sun drenched island, you will immediately find hospitality and beauty. The people welcome tourists with smiles and the promise of an unforgettable stay. The islands of Turks and Caicos are home to some of the world's best beaches, coral reefs that promise an impressive experience, and an overall feel of euphoria. Adventure is abundant here so there is no doubt you will find activities to thrill. Sit quietly and watch some of the 170 bird species that live on the islands during a bird watching excursion. Head to the island's conch farm for a unique outing and learn all about the rising star in the food world, the Queen Conch. Enjoy kayaking off the coast on an Eco Safari or try out some fabulous scuba diving in the beautiful coral reefs. Whale watching, dolphin cruises and cave exploring are also offered here, along with a plethora of other fantastic activities. Travel to Turks and Caicos to relax, but get ready to experience some heart pounding excitement. Because style and splendor are synonymous with the Turks and Caicos islands there is no surprise that the hotels and resorts located here are absolutely phenomenal. At WhatAHotel! we provide a number of splendid locations that are knock your socks off amazing. 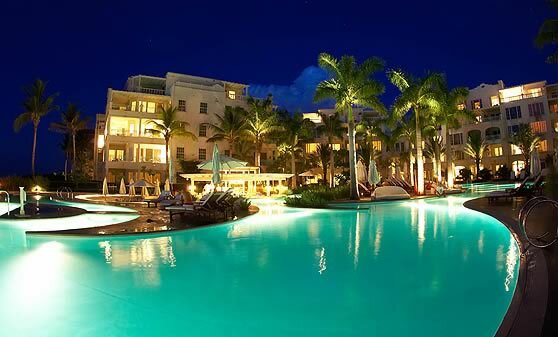 The Regent Palms Turks and Caicos is a lavish resort with a huge 25,000 square foot spa, two mouth-watering dining establishments and a breathtaking infinity pool. With the additional perk of a 4th night free when you book online, you can't go wrong. The Veranda Resort and Residences is another intriguing hotel find with some fabulous perks. It is a fully inclusive resort with traditional style and a charming chic appeal. Choose from a beachfront home in a private setting or a spacious studio suite with great views and modern conveniences. We present the Best Hotels on Turks and Caicos and provide additional special offers for these magnificent resorts. Book your next vacation with WhatAHotel! and discover money-saving perks, superb accommodations and some pretty remarkable destinations. Enjoy some amazing restaurants or cafes and experience the exquisite culinary menu selections and shop at quaint island stores to bring home a bit of the island style. Spend some of your time and money in the flashy casinos for a bit of excitement or check out any of the island activities and get your pulse racing. Turks and Caicos offers up excellence, warmth and exhilaration that keep island lovers coming back. Visit this stunning island of Turks and Caicos and discover joy in the Caribbean. 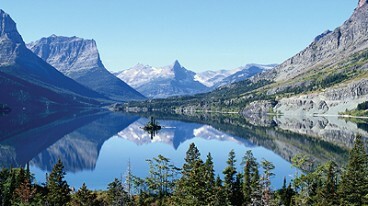 The world is full of magnificent natural wonders that attract and entice travelers. 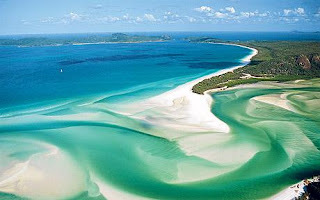 Perhaps one of the most beautiful locations showcasing Earth's beauty is the Great Barrier Reef. Located on the northeastern coast of Australia, this crystal clear water is home to absolutely gorgeous coral and colorful wildlife. Come "down under" and experience the organic beauty of Lizard Island and The Great Barrier Reef. The country of Australia is captivating. Its cities are overflowing with friendly people and an impressive culture, but venture out of the main city center and feast your eyes on something truly extraordinary. The Great Barrier Reef is expansive, so large it is visible from outer space. The reef has abundant plant and animal life. The baleen whale, giant clams, the leatherback turtles as well as over 400 other species, all find refuge in this amazing habitat. Get your snorkel ready or grab your wet suit and jump into the pure waters that mingle with the reef. Keep an eye out for sharks and dive below the surface into an abyss of true beauty. 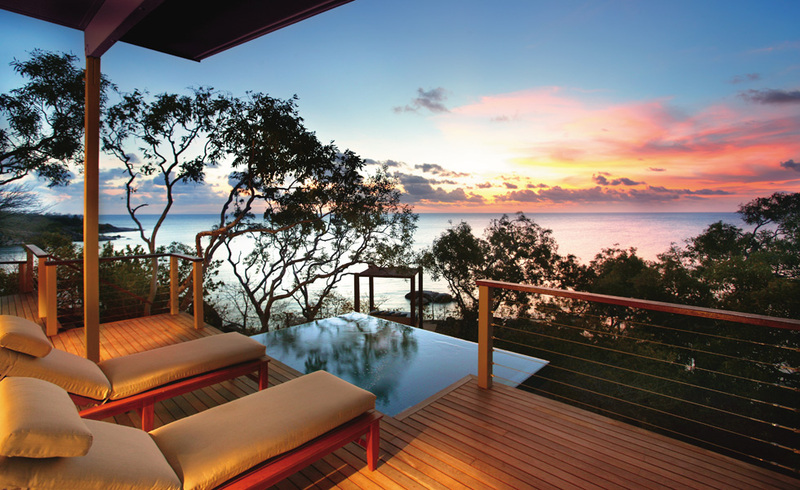 When heading to Australia, you want to find a resort that is as amazing as the reef itself. With a number of islands and hotels vying for your attention, take a peek at what Lizard Island has to offer and be prepared to be impressed. This private island presents some amazing amenities and awe-inspiring views. Referred to as "your island" because of the feeling of perfect isolation, all of the beaches are private and secluded allowing guests to experience complete relaxation. Winner of the 2012 Gourmet magazine travel award, there is no doubt you will experience excellence. The food and restaurants on Lizard Island are remarkable. Dine in high style and taste culinary genius at any of the wonderful hotel establishments or go it alone and order up a romantic, private picnic. If seclusion doesn't relax you enough, try heading to the tranquil spa and get ready to be pampered. The Azure Spa welcomes its guest and provides services inspired by nature. At WhatAHotel! we offer alluring hotels and resorts that will delight travelers and Lizard Island is absolutely dazzling. Stay here or at any of the Best Hotels in Australia and have a magnificent get-away. With so many intoxicating things to see and do while in Australia, why not head to the coast and see the sights in the Great Barrier Reef. Greatness awaits in Australia. ﻿Dallas is known to be a big city with a big heart, filled to the brim with football fans, boot wearing cowboys and plenty of oil fields. Although this may be true, to think this Texas city is just a cliche would greatly underestimate its true potential. 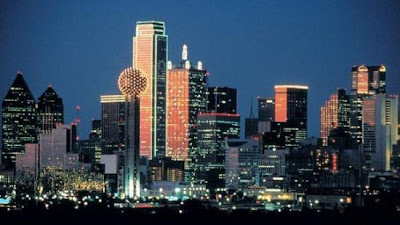 Dallas is also the site for some stunning architectural wonders, great restaurants and diners and some fabulous shopping. Visit Dallas and experience a city that will delight and inspire. ﻿﻿As you glance at the Dallas skyline, it will be hard to miss the Reunion Tower. The amazing structure was built in 1978 and today still stands tall. Head to the top and view the entire city from the observation deck or grab a bite to eat at the rotating restaurant at the tower's peak. The Reunion Tower has quickly become synonymous with Dallas, but there are so many other fabulous architectural landmarks situated here. 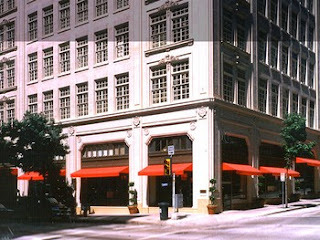 The flagship store for Neiman Marcus was opened in Dallas in 1907. This luxury department store has reached historic landmark status because of its impressive past. This striking building and the upscale merchandise sold inside promises customers a profound shopping experience. Go from luxurious to large when discussing the next landmark in Dallas, the Big Tex statue. This 52 foot cowboy calls the state fair grounds home and towers over the site. Some may find this metal man a bit gaudy, but he has become quite famous and now claims to be one of the most popular landmarks in all of Dallas. As everyone knows, everything is bigger in Texas. This may be especially true when discussing the restaurant scene in this urban oasis. Dallas has a higher density of restaurants than New York City, making it a real food-lover's paradise. Pre-conceived ideas of this Texas town may bring on the cravings of steakhouses and BBQ joints, but don't sell this city short. Dallas also likes to showoff its trendy side. Contemporary restaurants and gifted chefs have taken to Texas and created blends of cultural flavors from all around the world. American, Asian, Italian and Mexican styles have been found on the local menus and tempt diners to try something truly fantastic. Find amazing food choices throughout the city from the high-end boutique style restaurants to the quaint local grills and cafes. Even greasy spoon diners offer up selections that will make your mouth water. Foodies unite in delicious Dallas. The city of Dallas is known for its affluence. Oil tycoons, cattle farmers, bankers and businessmen have flocked here and made their fortunes. With wealth comes shopping and Dallas does not disappoint. This boisterous city features fashionable destinations for shopping all over the metro area. Shop in the trendy Galleria or Northpark Center where the environment and the shops all impress. Fetch the perfect pair of shoes while experiencing a historical vibe at Neiman Marcus built in 1907 or Highland Park Village built in 1931. Highland Park Village was even the first outdoor mall in the nation. Stroll through the West Village and take in the sites of the outdoor restaurants and classy boutiques, all showcasing an uptown feel. If you are in search of the latest and greatest trends, look no further then the Dallas shopping scene. Obviously art, design and elegance prosper in Texas. Because Dallas exhibits such an elevated level of culture and sophistication, WhatAHotel! 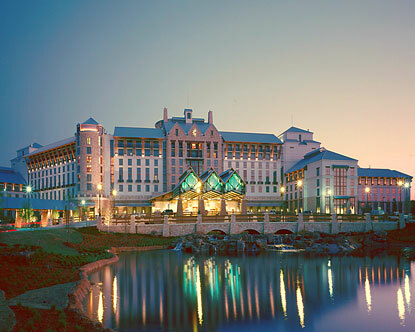 can easily offer some of the Best Hotels in Dallas. Four Seasons Resort and Club presents amazing features and extras. As a Four Seasons Preferred Partner we share a mutual commitment to quality as well as offer perks and great pricing. Four Seasons Dallas touts the only AAA Five-Diamond resort in Texas with an unbelievably beautiful championship golf course. Play a round and then take in the other amazing amenities that Four Seasons has to offer. The spa and salon are gorgeous and tranquil promising relaxation while the hotel pools beckon. Take a dip in the resort pool that is landscaped to resemble a tropical oasis, featuring a soothing waterfall. Modern conveniences are combined with deluxe accommodations and create a simply stunning resort experience. Dallas may be known for its rodeos and ranches, but don't underestimate this beautiful Texas city. Culture and elegance are plentiful in Dallas. ﻿﻿﻿If you are searching for a spot where life is utterly sweet, look no further than Barbados. Its culture and people are passionate about living a full life and experiencing complete bliss. This tropical paradise features blue waters, warm beaches, lush greenery and a climate that is almost too good to be true. Begin your discovery of Barbados and uncover an island with so much to offer. The people of Barbados seem to have figured out the meaning of life. These lovely islanders realize that the journey is about living and every day is a true blessing. You can see their enthusiasm in their smiles and in the way they welcome tourists to their island home. You can taste their passion in the food they create and feel their intensity in the music they play. It is quite possible that the Barbadian people have found perfection on this small Caribbean island. The beaches of Barbados are simply magnificent with 70 miles of sand that is available for travelers looking for rest and relaxation. But don't worry if adventure is on your mind, the waters are full of excitement and this locale will truly inspire. Each side of the island offers a beach with a different personality. The west coast is calm and beckons visitors to lounge in the sun with a rum punch in their hand. The east shoreline is decorated with stunning coral features and heart pounding waves. Surfing here is considered one of the best locations in the world. The southern side is pristine and proudly displays its reef protected waters. This lovely area is the prime spot to grab your snorkel and go scout for colorful fish. If that isn't tempting enough, venture to the southeast coast and take in the awe-inspiring cliffs and the pink sandy beach. Boredom will not be a part of the equation on the Barbadian beaches. The cuisine in Barbados is as tempting as the island itself. The culture combines African, Caribbean, West Indies and European influences to their unique menus. Fresh fish and seafood are obviously a commonly used ingredient in most dishes because of the easy access. Expect entrees with tuna, shark, salmon, and kingfish, as well as shrimp, lobster and crab. Flying fish, which is the national symbol of Barbados, is also quite commonplace in many of the fabulous establishments. Check out the beachside restaurants for the ultimate in natural ambiance and you will no doubt savor some fantastic food with a phenomenal view. The hotels and resorts that are located on this beautiful oasis are luxurious and stunning. WhatAHotel! 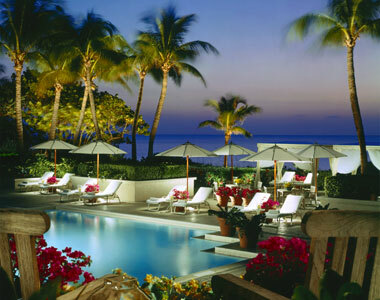 presents you with the Best Hotels in Barbados and promises pure gratification. Each resort we detail has exquisite accommodations, unrivaled amenities and exemplary service. Sandy Lane serves up an elegant environment, a deluxe spa and a beautifully maintained 18-hole golf course. This classic resort welcomes distinguished travelers with impeccable taste. The Fairmont Royal Pavilion boasts a majestic beachfront with an enchanting old world plantation feel. This posh resort presents guests with lavish amenities and thrilling cuisine. Stay at one of the Best Hotels in Barbados and you may just find the true meaning of life. Barbados has an enticing nightlife, excellent shopping and awesome landmarks. These traits mixed with the creative cuisine, superb hotels and palm lined beaches help to make Barbados a sensational vacation destination. The people of this tropical paradise truly know how to live a rich and fulfilling life. Maybe during your stay you too can discover a real passion for life. ﻿﻿﻿Americans have a passion for travel and taking that adventure abroad is even more thrilling. Leaving the comfort of your home country to experience new cultures, exciting destinations and fabulous surroundings can awaken the spirit. The top destination for US travelers is not surprisingly Cancun, Mexico. It showcases a vibrant culture and comfortable environment with affordable shopping and dining. Have it all in spectacular Cancun! Upon arrival in Cancun you will be inundated with charm and warmth. The city welcomes tourists and invites them to explore this lovely Mexican vacation hub. In the past this town welcomed spring breakers that wanted sun, sand and a party atmosphere, but in the years since it has started to emerge as a luxury location with amazing hotels and restaurants to appease even the discriminating tourist. Hop on a plane and in a few hours you will be discovering paradise. 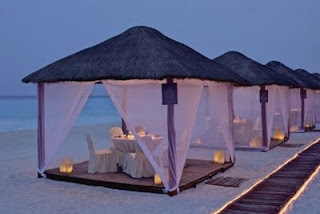 The beaches in Cancun are beautiful, so selecting a wonderful hotel with a great beach is a must. The Best Hotels in Cancun can be found at WhatAHotel! where we eliminate the overwhelming task of searching for the perfect place to stay. We offer exquisite hotels and resorts that will compliment your already amazing trip. Book your suite at the impressive Ritz-Carlton Cancun and receive the 4th night free. This world-class hotel offers exceptional amenities, delectable cuisine and a luxurious spa. If you want a hotel that was inspired by the Mayan architecture, stay at Le Meridien Cancun Resort and Spa. 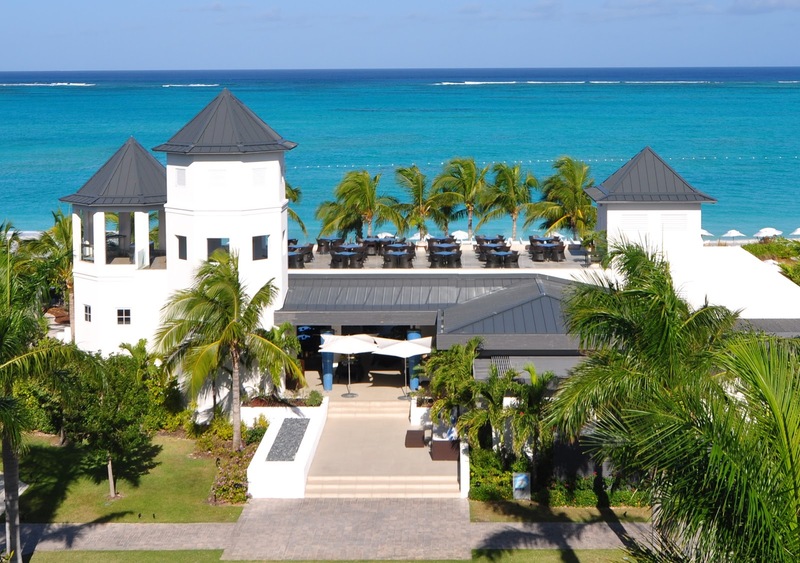 This resort offers residential style rooms with views of the crystal clear Caribbean. It also boasts a 15,000 sq ft spa devoted to European style treatments. Experience excellence at any of our Best Hotels in Cancun and encounter unforgettable rest and relaxation. Food from the Mexican culture can become an addiction. The savory and spicy flavors awaken the senses. During your stay in this resort town, there is no doubt you will enjoy some amazing restaurants and cantinas. Delight in the true flavor of Mexican style food as well as some of the freshest seafood and fish you'll find. Not in the mood for the cultural favorite? Try a steak dinner, an Italian dish or even some Oriental masterpieces. Cancun invites you to truly relish your feast. The Mexican culture loves it's nightlife and Cancun is no different. When the sun goes down, the party is just getting started. Bars are located everywhere and offer up a cold cerveza (beer), a fruity drink and loud and lively music. Be sure to visit some of the glamorous clubs with famous deejays and jet setting patrons. If you are looking for sophistication, a night out at one the the chic lounges will entice you. They offer a more intimate setting for close friends to visit or for romance to blossom. Spend the evening in the clubs and immerse yourself with an electric vibe. 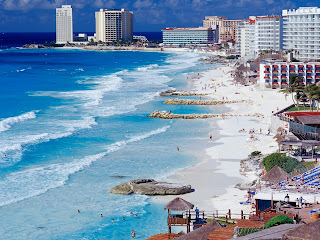 Cancun offers up so much that there is no doubt why it has become a top tourist destination. The beaches and ocean seek out the adventurous traveler with water sports while the urban area lures people that love big city shopping, dining, malls and theatres. This glorious town welcomes you with the promise of a remarkable trip. Come to Cancun and see what all the fuss is about. Breathtaking beauty and heart pounding slopes, Vail, Colorado is a striking location with the feel of a captivating village. This time of year Vail is preparing for the busy ski season and the area becomes a hub of excitement. Get your snow boots out of storage, your lift ticket purchased and get ready to enjoy the spectacular snowy season in Vail. Take a look at any picture of Vail and you might just think of the Swiss Alps. Chic restaurants and boutiques line the cobblestone streets, adorable cafes serving hot chocolate or a warm latte can be found everywhere in this cozy town. All of this can pale in comparison to the looming large mountain slopes that reach toward the clouds. The magnificent sights invade your senses so be ready to fall in love with Vail. Because Vail is the largest resort in the US and is blessed with almost constant sunny days, winter activities here are abundant. With the front side of Vail being the most well groomed slopes on the planet, it easy to see why skiing and snowboarding are so prevalent. Even though most travel here for these two very popular snow sports, you can also check out the tubing, Nordic snowshoeing, and terrain parks and be ready for excitement. If you have a passion for winter recreation, there is no doubt you will love everything about the slopes and terrain in this lovely location. ﻿﻿﻿Vail may not be quite as posh as Aspen, but it does its very best to impress. Shopping here rivals that of some of the most fashionable cities around the globe. Of course you can find a number of ski shops that will sell you the latest and greatest in gear or equipment to keep you warm, but there is so much more. Find the perfect cocktail dress for your night out after spending the day on the mountain, or shop for that trendy pair of cowboy boots you have always wanted but never were able to find. Jewelry, apparel, arts, crafts and souvenir shops are beckoning tourists to venture into their warm and inviting stores. With so many shops, a day off the slopes doesn't seem like a bad idea at all! Dining itself is an experience in Vail. A variety of choices await you from simple and quick meals to a full 5 course dining experience. Make the decision of what type of food sounds good and set out in search of a fabulous feast. Famous Chefs have relocated to Vail and made their restaurants and meals truly exquisite. Local mom and pop establishments like to serve up warm soup and toasty breads that make patrons feel nostalgic. There are even mountain restaurants that taut delicious foods with an excellent view. It is far too easy to find something delectable to eat during your stay here. A true world class eating adventure in a tiny walkable, car free village environment. Charming indeed. ﻿﻿﻿﻿﻿﻿The hotel and resort selection in Vail is superior. At WhatAHotel! we offer top-notch options for accommodations that promise plenty of impressive perks. 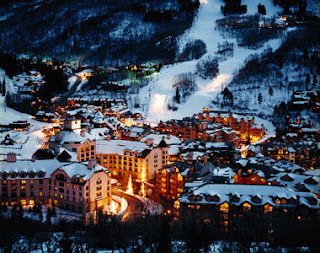 One location that will definitely leave a sophisticated impression is Four Seasons Resort Vail. 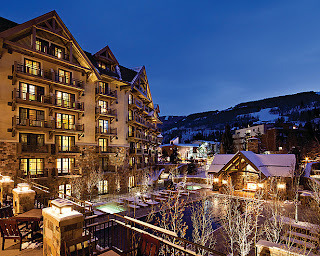 This alluring resort is situated in the Vail Village and presents the ultimate in style with an alpine hotel feel. Warm your frozen toes in the heated pool or have your sore muscles pampered in the on-site spa. Exceptional service and amenities will help ensure your stay is unforgettable. Choose one of the 5 beautiful Best Hotels in Vail locations and rest easy. Colorado is getting primed for the holiday and ski season making sure that everything here sparkles. The red carpet is being laid out in dazzling Vail. St. Lucia is a well known Caribbean island and although it's name may be famous, tourist have yet to deluge this pristine tropical paradise. With most of the visitors to St. Lucia being brought here by cruise ship, the local tourism is in desperate need of an upgrade. With this knowledge, the governing body of this tiny island has taken on a plan that will bring hotels and resorts to its shores and in turn bring tourists. With so much to offer here, there is no doubt St. Lucia will quickly become a favorite island destination. 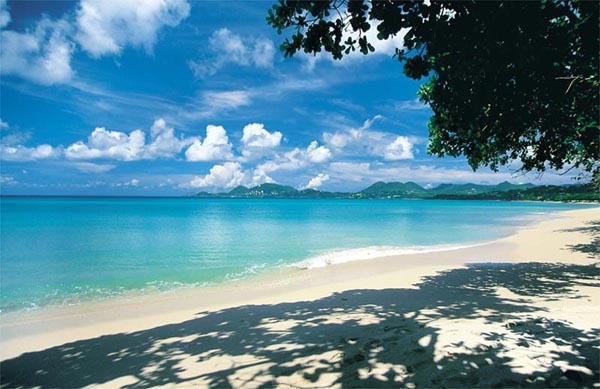 The black sandy beaches await in spectacular St. Lucia. ﻿﻿﻿﻿﻿﻿﻿The island of St. Lucia is more mountainous than any of the other Caribbean islands thanks to its volcanic beginning. The peaks and valleys help create a lush and treacherous environment that attracts adventure seekers from around the globe. With the beautiful waters surrounding the island, scuba diving and snorkeling are exceptional and offer stunning underwater sightseeing. The dramatic elevations give travelers the ability to zip-line through the jungle or take a hike and view the vast untouched areas. The gorgeous landscape tempts guest to go horseback riding on the beach or check out the picturesque views via a chartered yacht. There are a number of fabulous excursions that allow visitors to explore. How about taking a drive into a volcano! You can take in the area and snap pictures of the craters or even bathe in the sulphur springs that are said to be therapeutic. Maybe you should book a helicopter expedition and view this stunning island from above. The excitement is exceptional in St. Lucia. 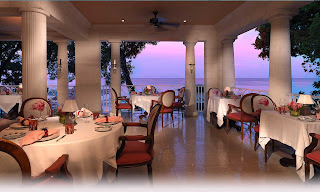 St. Lucia has been described as having a very charismatic restaurant scene. Although this paradise is small, it has a very diverse population and that mixed with its ability to grow a variety of fresh produce on the island makes St Lucia quite unique. This oasis offers up amazing menus that promise to leave their guests satisfied. Beach dining, charming burger joints and even chic sushi restaurants provide many food choices at a variety of price points. Find your passion for food in St. Lucia. ﻿﻿Cruise ships might be the way most tourists arrive onto St. Lucia, but these guests may be missing out. 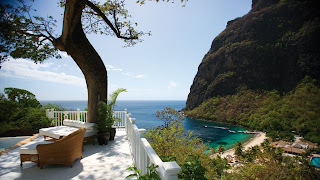 With a great selection of The Best Hotels in Saint Lucia, we introduce you to the luxury and amenities that are offered to travelers that dare to stay for more than just a day. At WhatAHotel! we not only provide you with fabulous locations that will knock your socks off, we also showcase exclusive perks like resort credits or even a free night stay. You will be guaranteed a spectacular hotel with amazing restaurants and indulging spas. These beach side beauties will leave you feeling relaxed and pampered. Come to St. Lucia where you can sip a cocktail while digging your toes in the sand. Crystal clear waters with gorgeous beaches, mountainous topography with lush tropical plants, this island paradise might just be one of the best kept secrets in the Caribbean. Defy normality, visit the island of St. Lucia for longer than a day and find an appreciation for splendor. The New York City skyline is both intimidating and welcoming. Buildings tower over the hustle and bustle that reverberates through the city streets. Residents express their undying love for this larger than life city while tourists flock to the busy streets in an attempt to capture the true NYC spirit. All year long this amazing urban area offers something spectacular to its people, but when the cool chill of autumn starts to creep into the city, the landscape seems to pulsate with color. Fall in love with fall in New York City. There is no doubt that you will get caught up in the electric vibe that is felt throughout this chic city. When the weather starts to cool and the summer vacation crowd has dispersed, the savvy travelers head to The Big Apple, knowing that the tourist traffic has lessened. This gives outsiders the ability to mingle closely with New Yorkers and truly experience this great destination and all that it has to offer. Walk or take a carriage ride through Central Park and see the trees showing off by colorfully changing their leaves from green to reds, oranges and yellows. Visit Time Square with its awe-inspiring activity and perhaps purchase tickets to a Broadway show from the vendors that line the streets. Strolling along the sidewalks and taking in the various sites scattered all around, visiting the many museums and galleries and possibly getting a jump start on Christmas shopping on 5th Avenue, you will quickly understand why this spectacular city never sleeps. New York City offers the excitement that inspires its people and its visitors. New York City has always portrayed itself as a sophisticated metropolitan area. The rich and famous strive to make this urban oasis their own personal sanctuary, while the everyday people work hard to call this city their home. All cultures and nationalities converge here looking for their dreams to be fulfilled. This magical city has made a commitment to remain fabulous, not to mention chic, and utilizes its feisty residents to help preserve this promise. Businessmen, designers, artists, athletes etc. put their hearts and souls into keeping this city great. Because of this the people that inhabit this metropolis are an element of what makes New York a brilliant destination. 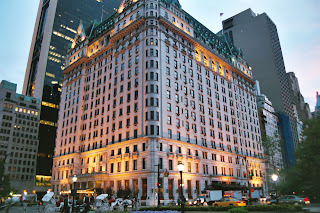 Hotels in The Big Apple are almost as famous as the city itself. They make up a large part of the image of this city and have been seen in movies, written about in books and gossiped about in the entertainment magazines. These posh buildings create an ambiance of class and refinement. From the moment a patron steps into a luxurious lobby, the New York hospitality industry works at impressing it's guests with awe-inspiring interiors, supremely helpful and courteous employees and first-class amenities. The restaurants located inside the hotels are extravagant and showcase tempting meals designed by world renowned chefs. Spa's are lush and offer guests a relaxing and refreshing way to unwind. Take a look at all of the Best Hotels in New York and find accommodations that will leave you feeling like a VIP. At WhatAHotel! we understand that your trip to this unforgettable city will be special, so we display unique offers at some of the most exclusive hotels. Note the City Specials area on the right side of our web page of fabulous New York City hotels and get ready to be inspired. This list shows exclusive perks like a complimentary night, credits to the onsite spa, or other extras that will ensure your stay is as spectacular as this engaging locale. When the colors of fall start to creep into this historic city and the wind brings with it a chill, the warmth of New York's personality still radiates through the flashy cosmopolitan streets. Book a room or suite in one of the Best Hotels in New York City and come to understand what so many already know; New York is a world-class city. Rekindle your love of everything great in New York City. ﻿The Caribbean reveals a phenomenal climate, beautiful islands with white sandy beaches and the promise of a luxurious vacation with fabulous food and drinks. Travelers search through the many tropical retreats for a perfect sanctuary so that they can unwind. With such an assortment of Best Hotels in the Caribbean, narrowing it down to one locale is never easy. If you are looking for an island adventure with amazing restaurants that offer heavenly cuisine, a romantic setting with a seductive feel, and posh hotels that will make you feel like a super star, then look no further than Grand Cayman. A setting with natural allure and many man-made wonders, the Cayman Islands are utterly uncommon. Upon arrival in Grand Cayman, you are immediately overtaken by it's beauty. Lush tropical plants and trees help frame the lovely clear skies and the welcoming beaches are kissed by the crystal blue sea. The inviting climate warms your skin while the friendly people warm your soul. Get ready to have the time of your life in this charming Caribbean oasis. Every year divers flock to the Cayman Islands in search of action and some of the world's most amazing dive spots. All three islands present divers the perfect environment to pursue their love of the water. However if diving is a bit too extreme for you, there are plenty of other excursions that will get your blood pumping and let you enjoy the spectacular surroundings. Make sure you plan a trip to Stingray City during your stay. This experience will be truly unforgettable as you swim, pet and socialize with these magnificent creatures. 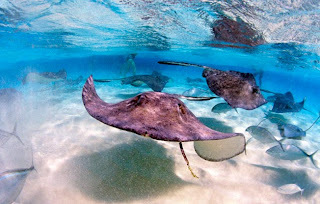 Stand out in the middle of the Caribbean on a sandbar and admire the movement of the stingrays in their natural habitat. It may be a bit cliche, but it will absolutely be worth it. Another attraction that is worth your time is the Botanic Park. It is a wilderness preserve that offers a scenic trail and lovely flora and fawna. Travel to hell and back, so to speak, by taking a trip to the rock formation known as Hell. These black limestone rocks are treacherous and gorgeous at the same time. Journey to another favorite Cayman spot to check out the Boatswain's Beach Turtle Farm, home to the islands once abundant turtle population. Although now on the endangered species list, this farm showcases an up-close look at the green sea turtle's life. Trek through the Cayman Islands and become acquainted with the natural side of the islands. The Seven Mile Beach has been up for the title of Best Caribbean Beach for several years. This glorious section of beach is home to numerous beach bars and restaurants, as well as some fantastic hotels and resorts. 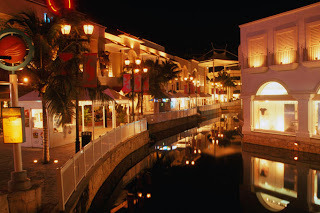 This pretty area is also site to the sensational Ritz-Carlton Grand Cayman. This dramatic hotel caters to guests that are in search of sophisticated accommodations with an elegant flair. Taste sweet cocktails poolside while you look out over the sea. Enjoy private balconies and spacious bathrooms. Book a treatment in the Silver Rain Spa and experience a replenishment of the spirit. Hunger will not be a problem during your stay if you visit one of the seven lounges and restaurants at the Ritz. Enjoy savory foods and delightful drinks. Golf at the Greg Norman golf course that is exclusive to the members and owners of the Ritz Carlton. 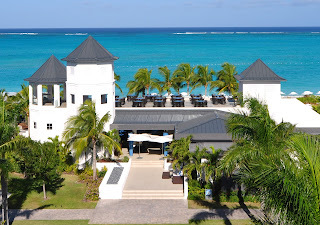 The Ritz Carlton Grand Cayman is luxury at its best. Once you take a peak at all this island has to offer, it is easy to see why so many visitors flock to this tropical paradise. Well-known culinary masters have also found this site hard to resist. Chefs worldwide have been lured to this tropical paradise creating unforgettable and mouth-watering creations. Foodies have considered this a mecca for exciting international and seafood dishes. A week long vacation may not be enough time to expose your palette to all that this destination has to offer. Dine on the beach with your toes in the sand or inside an exquisite room with candle light and cosmopolitan ambiance, both options are sure to please. Experience food euphoria in Grand Cayman. You can't talk about a vacation destination and not discuss shopping. 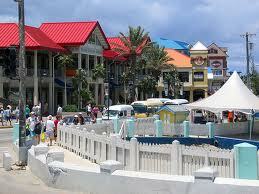 Grand Cayman will not disappoint, flaunting a wide variety of goods for sale. Because this island location is duty-free, visitors are given the opportunity to save some serious money when purchasing things like jewelry, crystal, liquor or high-end merchandise. Spend some time strolling through the chic European style boutiques or possibly a local art gallery and find the ideal souvenir to take home. Make sure you also take a look at the shops that are located inside many of the grand hotels. These stores offer unique products and gifts that are either made on the island or give you the feeling of the Cayman Islands. Whatever you chose, know that in Grand Cayman you can shop til you drop. This posh island has so much to offer tourists and that can make leaving this captivating island quite challenging. Grand Cayman is a majestic setting with remarkable amenities that will please the most distinguished traveler. Visit the Cayman Islands and you just might find nirvana. 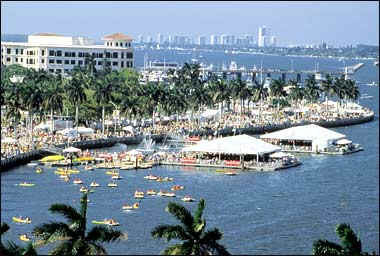 ﻿﻿﻿﻿﻿Winter is on its way to Florida and that means one thing in Palm Beach, the social season is about to begin. This time of year brings an ideal climate that adds to the already alluring city. Spend your days basking in the warm sunshine and stunning beaches while looking out over the gorgeous Atlantic Ocean. At night, dine at area hot-spots where brilliant chefs create savory mouth-watering meals or shop at the cosmopolitan boutiques that offer up some of the fashion world's most stylish finds. Experience Palm Beach and its breathtaking beauty. 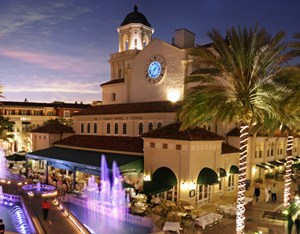 When you arrive in Palm Beach, get ready to unleash your inner shopping god. This spectacular town is overflowing with retail areas that provide unique and specialty products, clothing and accessories, and even antiques. Spend your days or evenings strolling through the delightful districts and become enchanted with the shops and markets. With so much diverse product and 12 different areas to peruse, you are sure to find that perfect souvenir or gift in this flawless Florida town. If you love golf, pack your clubs before traveling to Palm Beach. With almost 4 dozen courses in the area, you are sure to find the perfect place to play. These courses have been designed by some of the top names in golf and include everything from championship courses to executive courses and don't forget miniature golf too. Choose a location that will challenge your game and get ready for a fun filled day on the lush greens. Finding a place to dine in Palm Beach will not be difficult; however, actually selecting an establishment might prove challenging. With a wide variety of choices from well known luxury chain restaurants to charming local locations, you will no doubt enjoy your dining experience. With its prime location right by the water's edge, seafood restaurants are obviously a great choice providing fresh fare from the ocean. Other sites offer Mexican, Italian, and other international menu items proving there is something for everyone in Palm Beach. When selecting a hotel or resort for your stay, review your options at WhatAHotel! and browse through the selection of the Best Hotels in Palm Beach. Be sure to check out the Four Seasons Resort Palm Beach and prepare to be impressed. This Beautiful hotel offers up an award-winning restaurant and a luxurious spa along with the commitment to provide top-notch service and amenities. As a Preferred Partner of Four Seasons, we can offer you perks and privileges that will ensure your experience is exceptional. Check out the incredible Four Seasons Palm Beach or any of our other wonderful resorts and know that you will receive unmatched quality and service along with unbelievable accommodations. As the end of the year approaches, why not book some time to visit one of America's first resort locations. Palm Beach is stunning with its chic atmosphere and people, it will easily become a favorite destination. Spend some time in Palm Beach, Florida, the perfect paradise. Interested in the most extraordinary adventure trip? How about going around-the-world in 2013 by private jet and staying in the world's best hotels? Such a trip is now possible because of a partnership that Four Seasons Hotels created with private jet tour operator, TCS & Starquest Expeditions. 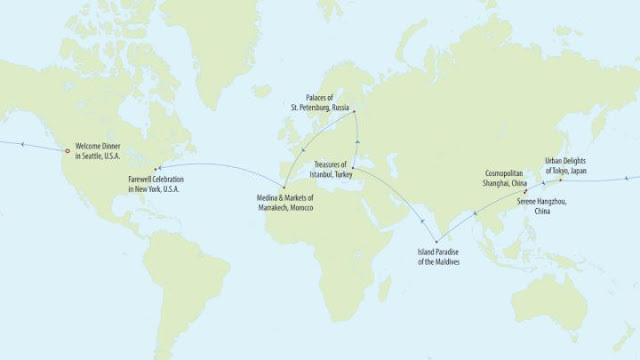 Their inaugural trip around the world earlier this year in 2012 sold out at such a rapid pace that a second trip was added which also sold out. By joining the trip next year; a 22-day journey (Sep 14 to Oct 5,2013) , you’ll fly aboard a private jet with a small group of like-minded travelers, discover some of the world’s most intriguing cities and stay only in Four Seasons hotels and resorts. This trip will also include high-quality excursions, exceptional dining, and a support team of travel experts that will take care of every detail. We expect this new 2013 journey to be extremely popular. As there will be only one departure, we encourage you to call us today to ensure that you can reserve your spot. To learn more about this extraordinary expedition and to make your reservations, please click here for all the details. Madrid is centrally located in Spain and promises scorching summers and bone chilling winters. Even with the inhospitable climate, Madrid still influences its natives and foreigners alike. Every year this capital city welcomes visitors to its diverse streets and captures their hearts with its culture and pizzazz. Come to Madrid and prepare to be amazed. Madrid, Spain is not located near the shoreline, nor is it situated near a stunning lake or mountain range, but still it holds a charm and allure all its own. Old Madrid interacts perfectly with the modern Madrid and promises to be a favorite of the European capitals among travelers. The electric vibe of the city is non-stop and even early in the morning the metro areas are pulsing with excitement. Boutiques are filled with high-end fashion and the restaurants are featuring the finest in cuisine, promising that this city has it all. Come encounter the best of Madrid. Discovering all of the great things that this unique capital has to offer should start with selecting a terrific hotel. Staying in one of the Best Hotels in Madrid will not only add to the excellence of the city, but ensure your trip will be spectacular. Book with WhatAHotel! and know that whichever hotel you choose it will be a quality location with impeccable services and amenities. Whether you stay in the contemporary luxury of Hotel Villa Magna or the historic and opulent De Las Letras Hotel and Restaurante, know that your accommodations will be superb and unforgettable. Stay in the finest hotels in Madrid and realize perfection. Spain offers amazing food and wine and visitors of Madrid no doubt want to sample all that the city has to offer. From the exclusive restaurants that display a culinary masterpiece to the simple but flavorful stew created with love at a street cafe, guests will enjoy an unbelievable meal. While exploring the city make sure you find at least one tapas restaurant, known for serving a variety of Spanish favorites in snack size portions (dishes can be warm or cold). This famous way of eating may have originated in Spain but is now become quite popular worldwide. Savor the taste of tapas or other fine Spanish dishes alongside some robust Spanish wines and awaken your palette. Relish the essence of Madrid! Madrid has many landmarks and monuments of historic significance that are worth a visit during your time in Spain. Take a tour of the largest royal palace in Western Europe situated in the lovely Plaza de Oriente Square. Full of marvelous works of art and stories of the Spanish Royal Family, this site will inspire. The Madrid Cathedral is another impressive site, featuring Madrid's largest church. The Prado museum as well as The Reina Sofia exhibit priceless works of art that you won't want to miss. The past connects with modern times in this fabulous old world city. Just mention the word shopping in Madrid and watch the excitement flash into the eyes of citizens and tourists alike. This city is full of fashion, design and decor that are truly remarkable. Shop for traditional crafts like ceramics and leather goods or even wine and cheese at some of the family-run shops located around town. Gran Via, Plaza Mayor and Puerta de Sol are the large shopping malls in Madrid that sells international clothing brands and accessories. Visit the Salamanca neighborhood where the upscale designer boutiques call to the affluent shopper with elegant and trendy styles. Home decor or modern furnishings are also quite popular in this urban area, as well as chic clothing, shoes and stunning jewelry. Shop to your heart's content in cosmopolitan Madrid. Tour Spain and find fabulous people, delicious food and wines and a vibrant culture. Tour Madrid and come to the capital of it all. Experience the richness of life and style in magnificent Madrid. Tucked away in the northern part of the Caribbean sits a little island with a big heart. Travel here and get a glimpse of the exquisite white sandy beaches that hug this low key island. Experience the spectacular beaches and you will come to understand that in Anguilla life revolves around its amazing shoreline. The stunning landscape captivates you from the moment you set eyes on Anguilla. You can't help but notice that the tiny island is encircled by beaches and warmed by the sun shining down from the heavens. Anguilla calls to your soul and dares you to find a single fault in this tropical paradise. Pack your swimsuit and start your adventure in Anguilla, where an ideal oasis meets the edge of the crystal clear Caribbean Sea. When traveling to an island retreat you will no doubt be interested in water activities. Whether it's as simple as lounging by the sea or actually taking to the water and exploring the vast depths, you will easily be pleased with all that is offered in Anguilla. Book an excursion to go fishing, snorkeling or scuba diving and enjoy your day on the water. If you're not sure you are up for such excitement, try a day cruise or sunset cruise and tour the Caribbean from the safety of a boat. With 33 beaches to choose from you are guaranteed a spectacular time. An eclectic offering of markets and boutiques on Anguilla will tempt shoppers to spend. This tropical destination offers everything from fine jewelry to local artisan treasures. Check out the classic resort wear or some colorful beach attire and experience the diversity offered by the island stores. Peek in a few souvenir shops or stroll through an art gallery and regard some creative regional work. There is something for everyone here, so take home a bit of Anguilla. You may have heard this island is about the beaches, but when traveling, tourists also want to experience the local cuisine and dine in style. Thankfully Anguilla has it all figured out. This island escape has realized that food and drink can be experienced either in a restaurant or on the sand. The brilliant beach bars that are sprinkled throughout the island offer tourists the chance to quench their thirst and not have to leave the water's edge. Whether dressed in casual chic or a swimsuit and flip flops, the beach bars welcome you. Some restaurants on the island also offer beach dining. The restaurant scene on Anguilla is trendy and electric, boasting entrees with flavors from around the world and capturing an Anguillian twist. Dining here will absolutely impress. Dress up or dress down and introduce yourself to an impeccable meal in a flawless setting. 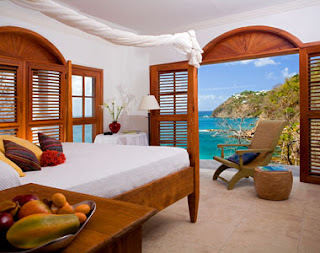 Travelers looking for the Best Hotels in Anguilla will find a variety of options that will help them rest and relax. Find luxury and world-class dining at the Viceroy Anguilla Resort and Residences. They are privately situated near Barnes Bay and Meads Bay and promise splendor. Discover the romantic setting of Cap Juluca. This fine resort captures the beauty of the Caribbean and the serenity of the island. CuisinArt Golf Resort entices golf enthusiasts everywhere by offering the only golf course on the island. Tee off in paradise. Stay at any of the fabulous resorts offered at WhatAHotel! and experience true bliss. Embrace the friendly island of Anguilla and discover a decadent culture and history that will inspire the spirit. Life is indeed better on the beaches of Anguilla. Located where the Rhone River triumphantly flows from Lake Geneva, this European City literally beckons the sophisticated traveler to its stylish streets. From trendy shops to elegant hotels, Geneva defines what it means to be a cosmopolitan city. Bordered by France, this urban area blends the exuberance of the French lifestyle with the more reserved culture of Switzerland. Come to Geneva, Switzerland and experience the best of everything. Geneva is situated at the base of the Alps and the Jura Mountains and boasts an exquisite view that will leave you breathless. The Rhone River shoots through the city dividing it into two sections, the Left Bank and the Right Bank. The left side is the older section where Geneva showcases its artistic and cultural personality. Home to the city's university, many historic landmarks and a 12th century cathedral, this region longs to mimic the Parisian way of life with the quaint cafes and charming city streets. The Right Bank is the newer section of the city and is very different from the other half of this metropolitan area. Home to the sprawling European seat of the United Nations and many grand 19th century hotels, Geneva seems to have two completely different identities. Travel through the streets lined with immense buildings and catch a glimpse of the lush parks that are scattered throughout the area. The nuances of the sides offer a charm that creates a very unique feel. This chic city offers its residents and guests the very best of everything. During your time in Geneva, book your stay at one of the Best Hotels of Geneva and experience excellence. Choose a side and check into your dream hotel. Four Seasons Hotel des Bergues is located on the Right Bank and has been a landmark since the early 1800's. 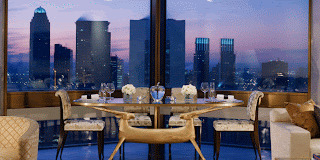 Known for its impressive service and hotel offerings, this Four Seasons is sure to please. Swissotel Metropole Geneva is situated on the left side and offers fabulous amenities and service along with an ideal location. Take a look at WhatAHotel! and know whichever location you chose, you will be staying at a first-class hotel with an unparalleled reputation. A vacation to any European country will no doubt lead you to a savory menu with tempting food selections. Geneva takes this very seriously and offers up some appealing choices when it comes to dining. Remarkable bistros mingle with opulent restaurants and provide a mixture of culinary styles from all over the world. Because Geneva is surrounded by France, Italy, Germany and Austria, restaurants are full of choices inspired by the city's neighbors as well. Experience a variety of delicious entrees and taste the flavor of Geneva. Although the thought of only eating and sleeping while in this extraordinary city doesn't seem like a terrible idea, you might want to venture our for a bit of sightseeing. With so much to offer, you will no doubt find numerous ways to spend your day. On Saturday you could check out the flea market on Plaine de Plainpalais and grab some serious bargains, or take a trip to Rue du Rhone to experience luxurious shopping in high-end boutiques. Trek through Old Town and see St. Peter's Cathedral or any of the other historical landmarks. Geneva offers up so much culture and character it will leave you speechless. The best in shopping and dining and maybe the best culture and views are all found in this phenomenal Swiss city . Geneva thrills us with an unsurpassed personality and proves that this city is truly The Best. Famous for its ideal climate, rolling landscape, spectacular views and some pretty incredible architectural landmarks, San Francisco, California is a top destination for travelers all around the world. Every year thousands flock to this picturesque city to see the sites, taste the divine food and wine and enjoy the California vibe. While taking in this brilliant city, visit the famous "Painted Ladies" of San Francisco and be enchanted by their history, beauty and grace. Beginning in the late 1800's and extending to the early 1900's, San Francisco was a thriving metropolis and with the economic success came the rise of these grand Victorian and Edwardian homes. After a devastating earthquake in 1906 that spurred fires throughout the area, many of these breathtaking homes were destroyed. Today the most famous of the homes are "The Six Sisters"; a group of six homes that still stand looking as proud and well kept as the day they were built. The definition of "Painted Ladies" refers to a home that is painted in 3 or more colors to enhance its architectural elements. Reds, yellows, browns, and oranges shout at people passing by to bask in their loud and colorful beauty. These San Francisco homes have become so well known, that this phenomena has spread rapidly throughout the United States. Cities everywhere are rehabbing their aged statuesque Victorians into extravagant homes that beg to be added to any notable historical record. Although the "Six Sisters" are by far the most famous of the "Painted Ladies", you will find many other gorgeous mansions around the city that are sure to impress. They may not have the colorful facade of the legendary six, but they are lovely in their own right. When touring the illustrious homes, you can stroll through the neighborhood streets of Alamo Square. This handsome community seems to take us back to another time. The exterior elements of the homes are so embellished and colorful that they seem to capture and retain your attention. The old homes are situated near the captivating Alamo Square Park. Although it is only the size of four city blocks, it sits on the top of a hill delivering a view that is unforgettable. It showcases the Bay Bridge, Golden Gate Bridge and a remarkable outline of the city skyline. Pick a day that is fog free and take in this resplendent city. Touring the delightful city of San Francisco and seeing everything from the impressive sky-scrapers to the Golden Gate Bridge will no doubt be awe-inspiring. Just make sure you take some time to see the charming Victorian homes called "The Painted Ladies". The history and allure of these significant homes will make your trip absolutely unforgettable. Stay in the Best Hotels in San Francisco to truly enjoy your amazing vacation.